My favorite things about Finland. Even tough I’m not Finnish, I lived here for most of my life, since childhood. And first thing that comes to my mind when I think about Finland is education. Finland provide high quality of education, which is also encourage kids to be independent individuals. Teacher viewed as almost a friend and called by a first name, which is often surprising for foreigners. Kids really are important for Finish society and they are surrounded by love and care from the government and people around from the early days. The newly built Saunalahti School. Despite that, Finns often grow up to be shy. Most of the Finnish people would shy away from conversations and “small talk”. It’s probably a rumored national mentality, and even I somehow assimilated it, living in Finland from childhood. My speculation about the reason might be that Finns don’t like empty talks. Talking should be useful: helping with some problem, for example. I always got help and friendly guidance from random people when I needed it. I should mention one category of people, eager to start a conversation in buses and trains: elderly people :D. Sweet grandmothers just love to have a nice chatter, and I have no idea how it fits into the idea of an overall shy mentality :). My most favorite part about Finland is it’s nature. For people who like warm summer days I have a joke: “Finnish summer is great, last time it was on Thursday”. Of course Finnish summer is a bit longer than that – 3 months a year, and Finland being a land of a thousand lakes and islands offer lots of ways to enjoy hot and sunny days. But if you don’t like heat and love winters white from snow, that’s your country :). 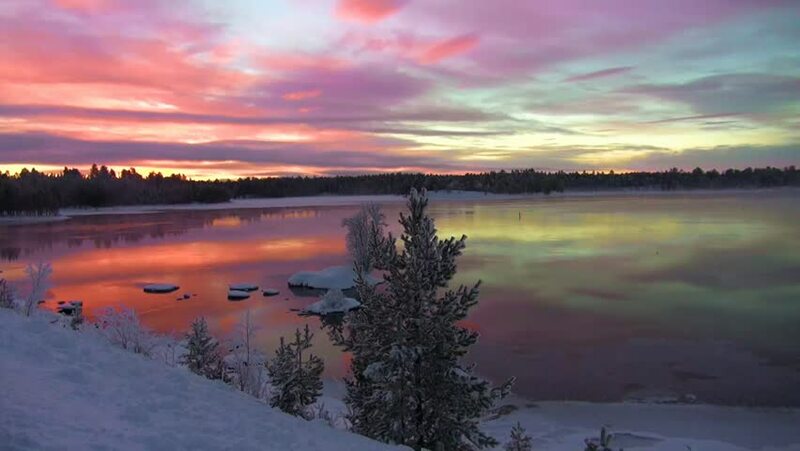 Finland in winter remind you of a childhood fairy tales. No wonder they say rumored Santa Claus lives here, in Lapland! Finland have 4 seasons in total, and every single one of them have amazing coloring of sky and trees. You have especially good view on surrounding lakes, fields and sky since many Finns would prefer solitude houses away from the noisy neighbors, so Finland don’t have that many big cities to loom in the background (hint: it’s hard to live in Finland without a driver license, unless you live in big city). Finns preserve their trees and animals. Along the roads you’ll see lots of trees and nets: to prevent animals from straying on the roads and to keep them in their natural habitat. As being a Finn, it is somehow hard to find a specific characteristic from Finnishness but at the same time it is hard to choose only couple of them. Finnishness is this entity, built with sisu, honesty, neighbor jealousy and modesty. Education is also one part of Finnishness. No one is left outside in the field of education. Finland offers free education to all of its citizens so that everyone has equal chance to become something big, or small, if that is what they want! Finnish mentality is something that I often laugh at, even if I am a Finn myself. Finns do not want to brag about themselves (even though they secretly like if they are admired) but at the same time they want to be the best, or at least better than their neighbors. Let’s have an example. My neighbor has bought a new car. First thought: ‘’why he needs to show off? Such a dork…´´ and the next thing is to by myself a new car. After someone compliments my new shiny car, the immediate answer: ´´ It’s an old and dirty junk. It was kind of a cheap too…´´. This is why I love Finnishness. Try to be better than everyone else but don’t show off. The most common things about Finnishness is shyness, quietness and big personal space. In some way these all are so true and I can relate into them a bit too well. But hey! Every other nationalities and nations have their own characteristics too. For example, being loud and super outgoing. This is why Finns are needed! If majority of nationalities tend to speak a lot and they love being around each other, Finns are the ones who will listen and populate the rural areas in the hope of some personal space and quietness. Things that pop in mind first when speaking about Finland and Finnishness are free education, shyness and sauna. 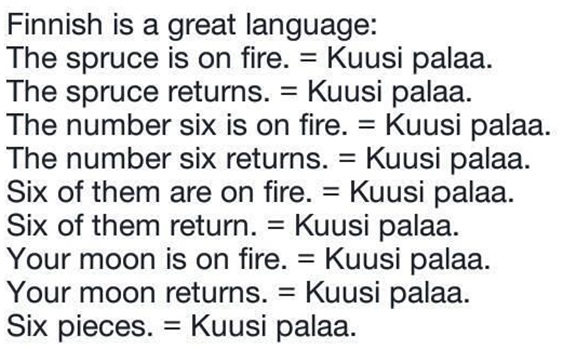 So education in Finland. Not only it’s free to study in universities but you also get financial support from KELA (the social insurance institution of Finland) for your living. Sounds good doesn’t it. Especially when compared to countries where you might have to spend thousands just for a semester of study. ”While having a conversation a shy Finn looks at his own shoes while an outgoing one looks at the other persons” or how the saying/joke goes. As shyness is one the biggest stereotypes of Finnish people of course not all Finns are shy and to be honest in my own experience Finns have started to be more social in the past few years. And I’m not sure if it’s always shyness or just not having anything to say except yes or no when asked something. Finland the country with 5 million citizens and 3 million saunas. You know saunas the hot ”rooms” where you throw water to hot rocks and it vaporizes and then you just sit there sweating, feeling hot and relaxed. Fun fact about Finnish shyness is that it’s pretty much forgotten when it comes to sauna. When it’s difficult to stand close to each other while waiting a bus at the bus stop there is no problem getting naked and sitting side by side with strangers in a sauna.